Before one considers selling their luxury home they need to start with the basics that are within the homeowner’s control. The primary areas the homeowners need to consider are the presentation of the home and the price. Presentation is always critical since regardless of the price a home that is outdated, shows signs of wear and tear, looks like a “project house” will not make the best impression on buyers who ultimately will be the future owners of a home. Project houses mean the new owner will have to invest in updates and upgrades in order to bring the home up to current standards and that usually means the project home better have a discount to reflect the investment the new owner will have to make. No discount will mean no sale since buyers can find plenty of other properly priced homes that are in up to date condition. Homeowners should look at other homes for sale in the neighborhood and surrounding areas in the price range of the price they would like to get for their home. Are those homes in much better condition and have more recent features or is your home better than those homes? The other homes looked at serve as a baseline in terms of condition and price. Condition is one aspect to consider and the homeowner should also be considering square footage, bedroom count, bathroom count and other luxury home amenities that are in demand. 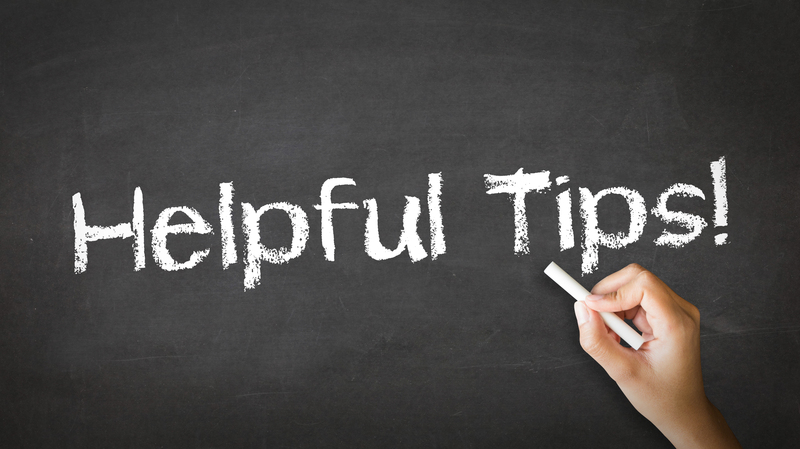 Here is helpful hint, just because your home is in much better condition than many other homes in your direct neighborhood does not mean the price set for sale should be too much higher than what the neighborhood can support. After all why overspend on a home that is priced the highest in the neighborhood when a buyer can go to another neighborhood where all homes are similarly priced and more likely to appreciate together at the same rate. Homeowners need to put themselves in the minds of luxury homebuyers and see how they would see the home in order best get it ready for sale. The basics of marketing a luxury home do involve putting the home up for sale on the local Multiple Listing Service (MLS) and also does involve putting a sign in the yard. If those are the only steps an agent or homeowner is taking they are doing a huge disservice to their client or to themselves. Especially when it comes to luxury homes high definition photographs, videos, accurate marketing remarks and more are needed in order to make sure buyers are aware a nice property is on the market for sale. Cell phone pictures of dark or poorly lit rooms do not encourage a luxury homebuyer to want to see more in person. Shaky videos also taken by a cell phone also tend to portray the home poorly rather than in its best light. As over 90% of shopping for a home begins online the pictures and videos of the home need to be stellar. Descriptions also need to accurately convey what the home has to offer in the limited amount of space provided for marketing remarks. Using ALL CAPS or using too many abbreviations to convey information about a home is likely to lead to more confusion by the buyers than anything else. So the marketing remarks need to be simple and to the point. The marketing remarks should talk about the unique features and amenities of a home, the luxury aspects of the home and more. Once a luxury homeowner has in place the basic preparation and has the basic marketing going for the home in order to really step up the marketing more will be needed. One of the best ways to make sure a luxury home gets noticed is to write more about it than just the few sentences allowed in the marketing remarks. A blog article about a luxury home, the history of its ownership, the history of its architecture or even the history of its location can add to the marketing weight that helps it get noticed. Not just any blog would do though, the place where the blog article is hosted should be on a highly trafficked website where you know luxury homebuyers will be looking. These could be sites like the local newspaper real estate section, national newspaper real estate sections, lifestyle and home websites that cover real estate, or a site like this one you are on right now where the real estate agent is an active blogger with plenty of monthly visitors by those interested in real estate, especially local real estate. A blog article combined with great photos and great videos is a great way to make sure a particular home for sale stands out amongst the crowd. Those who know how to do it can also use internet advertising to help the right buyer find the home. 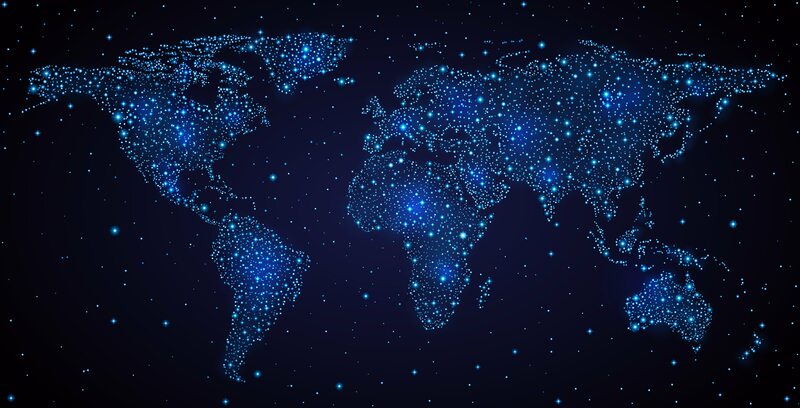 Whether you like it or not Facebook and Google have perfected the ability to know their users and allow advertisers to individually target the right customer for their product. Real estate is no different and the savvy real estate agent knows how to advertise on two of the largest internet advertising platforms of Facebook and Google. By having great foundation of marketing for the luxury home the text, photo or videos ads will shine for the right buyer who will be ready to come in and see the home in person. It's very intimidating getting your first luxury listing. The bar for seller's expectations for marketing, advertising, and exposure seems to be increasing year over year. There are an increasingly amount of new agents willing to “buy the listing” and go for broke on the marketing. Luxury sellers today expect their agents to invest in marketing and advertising. For some agents their first $1,000,000 listing could be intimidating and for others $3M - $10M+. Luxury properties don’t sell themselves which is why you’ll very rarely come across a luxury FSBO. If you have a luxury listing opportunity and are feeling overwhelmed, the seller is a handful, you can't afford $10,000-$20,000 which is often times necessary to launch a large listing, or you are falling short with experience against the other agents being interviewed – Share The Spotlight. Back in 2013 we had a very difficult seller, we were up against one of the top luxury listing heavyweights in our market, and we didn't want to risk $15,000 which was the total amount of all marketing the seller demanded. It’s important to note that many luxury properties can take 2-3 years to sell and don’t always sell with the first agent that listed them. I called Mauricio who had just launched The Agency in LA. After he agreed to co-list, I then called San Diego Fox5 and we ended up getting on a full 24 hour rotation on the news, and an article on their website with a backlink to me that is still there today. The extra above and beyond exposure the seller was demanding was accomplished. Ultimately we did not sell the house, however it was a great learning experience. By sharing the spotlight with a co-listing agent even outside your brokerage you can leverage their contacts, split the upfront investment, and maximize exposure with additional marketing efforts. Joy Bender runs the Facebook Group Selling Luxury and sells luxury real estate in San Diego, California. Home staging is an expected part of the real estate process, especially when it comes to luxury properties. Homes carrying expensive price tags also up the ante when it comes to creating a sophisticated design concept worthy of it’s trumped up lifestyle. While this is a good tip for any price point home on the market, many times luxury home sellers resist making aesthetic changes, because they hired a designer to style the property. Often, the design may be too taste specific or outdated for today’s buyers. Consider removing custom curtains, bold colors or wallpaper that can be a turn off and opt for color neutrality throughout the space to allow prospective buyers to visualize themselves living inside the home. In most cases, luxury homes have higher-end, quality features inside the space that must be highlighted to secure the asking price. So when staging a luxury property, be sure to feature all of the property’s unique amenities. 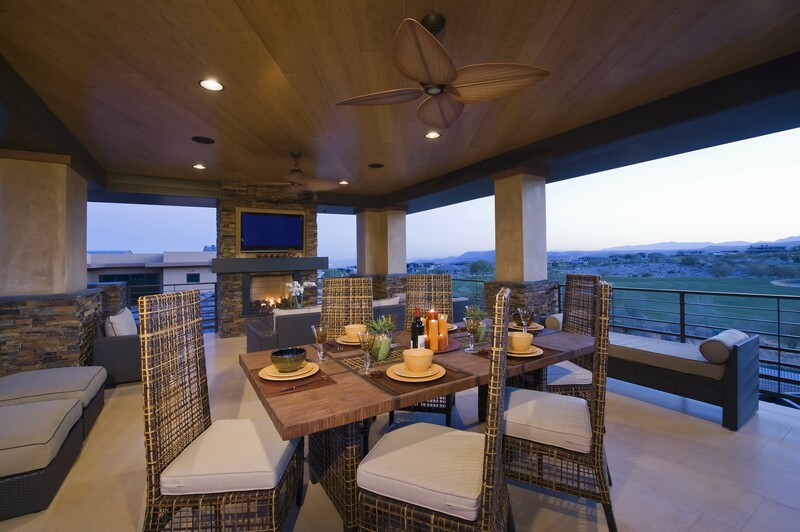 It’s important to showcase the full potential of the home, for instance movie-theater seating inside the media room, a multiple car garage or the outdoor kitchen equipped to entertain in a moments notice around the in-ground pool. Think of it this way, luxury home buyers are usually planning to upscale their lifestyle, so what will it take to entice them to make an offer? Since we’re trying to entice a luxury home buyer to make an offer, we have to show them the entire lifestyle they could led, if they bought this property. Believe it or not, luxury homes require luxury home staging –with a budget level available to tackle all rooms of a multi-million dollar property. In order to make a sale you have to exceed a luxury buyer’s expectations and keep them wanting more and that’s where home staging comes in. Tori Toth is a best-selling author, DIY and lifestyle expert, award-winning home stager and lifestyle authority. She can show anybody how to add more value to their home by providing the tools needed to prepare and showcase any home for sale. She works with consumers, real estate agents, or anybody else who wants to make their home look its best quickly and easily. Correctly pricing a luxury home is undoubtedly the most important ingredient in the marketing mix of selling a luxury home, as the real estate agent needs to properly position it in the marketplace. However, putting a price on a luxury home turns out to be more art than science! After all, no two luxury homes are alike, as comparing its physical position, lot size, square footage, special amenities and overall condition of the home aren’t feasible. The right amount of market research, trend study, psychology, and strategy will ultimately determine the ideal asking price. This is where buyer feedback needs to be closely monitored, with fewer interested buyers pointing to an overpriced property, while a lot of buyers having viewed the property, yet no offers being presented, might indicate that there’s be something wrong with the condition of the house. The market will quickly dictate where the property stands price-wise relative to other luxury homes for sale in the area. Perhaps an invitation-only open house with local top real estate agents, hot luxury buyers and the property’s immediate neighbors can already shed light on its pricing ahead of the official launch of the marketing. If these important sources of information are telling you that the price is wrong, anyone else interested in buying a luxury home is likely to react the same way! This will present the listing agent and home seller one last opportunity to adjust their marketing price before opening the listing up to the (luxury) public. The above contribution was provided by Xavier De Buck, a real estate agent from Johannesburg (South Africa), who’s passionate about the property market, technology and the synergy of both! You can read his blog at LuxuryHomesJohannesburg.com. The pool of qualified buyers is smaller when we get into the luxury home market. And it isn’t unusual for there to be more luxury homes for sale than demand from buyers. For this reason, Realtors who are marketing luxury homes have to be attentive to every detail. This starts with getting the home ready for the market. Putting away clutter and personal items goes without saying. Consider whether you might be leaving something out that would offend potential buyers. Photos of your favorite politician or trophies from your hunting trip may be favored by some but can also turn other buyers off. You want all the items in your home to be as neutral as possible. Print advertising and snail mail aren’t very affective for moderately priced homes. They can be useful ways to get exposure in the luxury home market. For a large home, aerial photography and video are useful marketing tools. When staging your home, check to see if any little repairs are needed. Burnt out light bulbs may seem minor but a buyer who sees several of them may wonder what else you’ve neglected. Make sure you preview the marketing materials. A little typo may seem minor but it can create a less than favorable impression. Verify that good quality photos are selected to showcase your home. Using dark, poorly lit photos can mean that your home just sits on the market. Make sure your Realtor has the photos ready to upload when they put the property in the MLS. Finally, set the right price from the beginning. Sellers often want to price their home high because “we’re not in a hurry” or to have “room to negotiate”. It’s always a mistake to over-price a home. Luxury home buyers tend to value their time. If they feel your home is over-priced they may not even take time to view it. If they do, they may think you’re “crazy” and feel you’d be insulted with the low offer they would make. The marketing of a luxury home requires everything to be top notch in order to convey to luxury homebuyers that they are buying a quality product. Presentation is critical for both the online marketing as well as for when buyers are coming to tour a home in person. If a luxury home cannot deliver the same experience online as well as in person the chances of it selling will be lower. 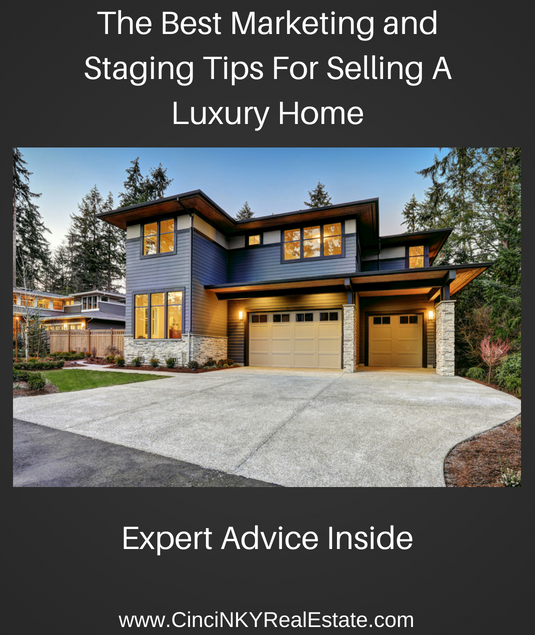 About the author: The above article “The Best Marketing and Staging Tips For Selling A Luxury Home” was provided by Luxury Real Estate Specialist Paul Sian. Paul can be reached at paul@CinciNKYRealEstate.com or by phone at 513-560-8002. If you’re thinking of selling or buying your investment or commercial business property I would love to share my marketing knowledge and expertise to help you. Contact me today! This is great advice for all luxury home sellers. Thanks. It is always a great task to sell out the luxury homes because even their home staging costs a lot. When purchasers visit a house in expensive area, they are expecting to see everything in Hollywood style, thus, increasing the burden on sellers. Thanks for your comments Gabe and Sayde!